To me, one of the main components of a good New Year’s celebration (or any celebration, really) is the confetti. This project uses tissue confetti to make original art in an unexpected way! 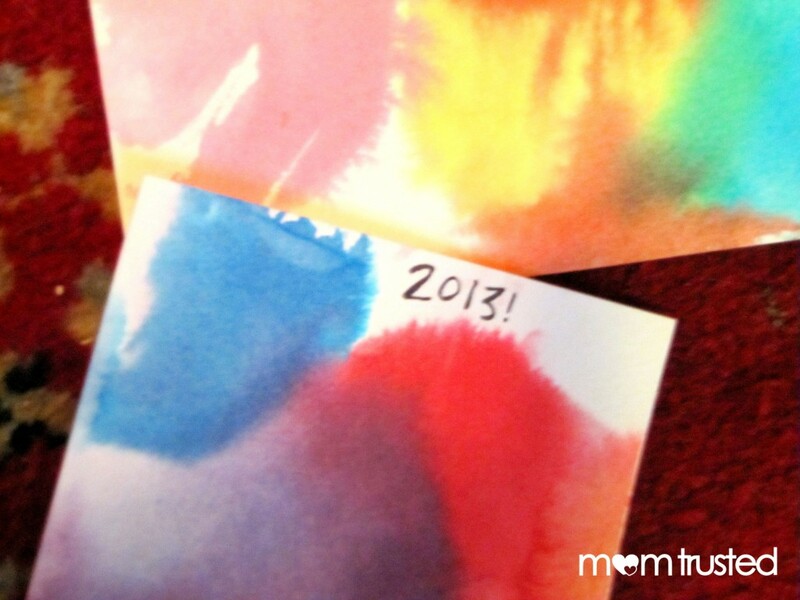 We made these before New Year’s Eve to send out as “WELCOME 2013!” postcards. 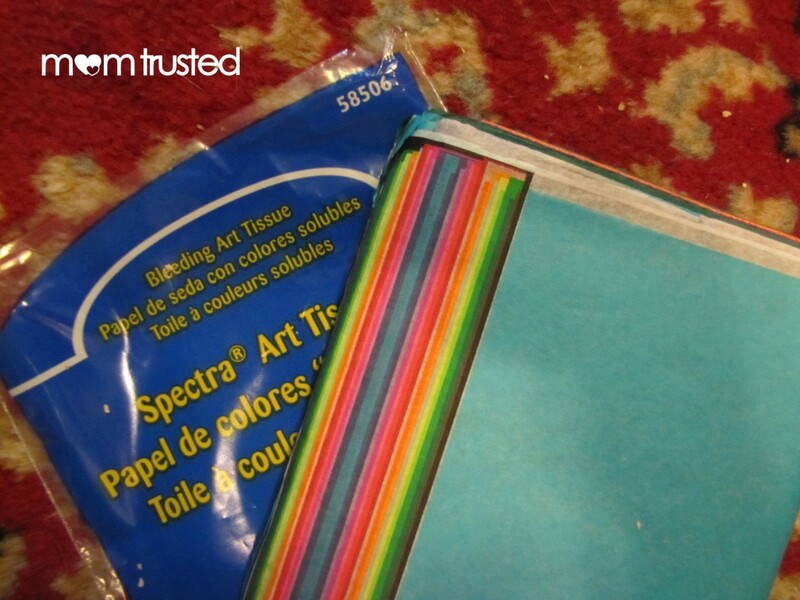 You and your child will have fun choosing colors and arranging the confetti on these easy to make postcards. They have all the spirit of a confetti-throwing party! 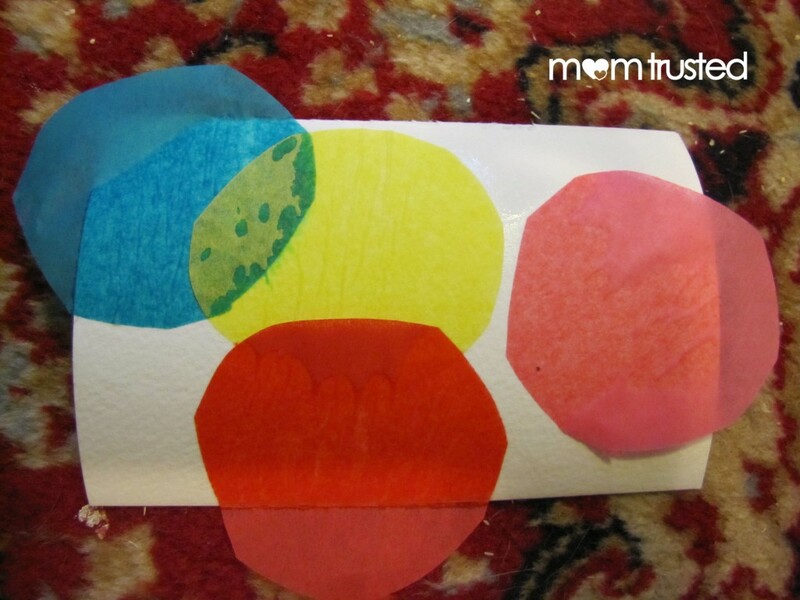 Start by tracing and cutting out some circles from the tissue paper. 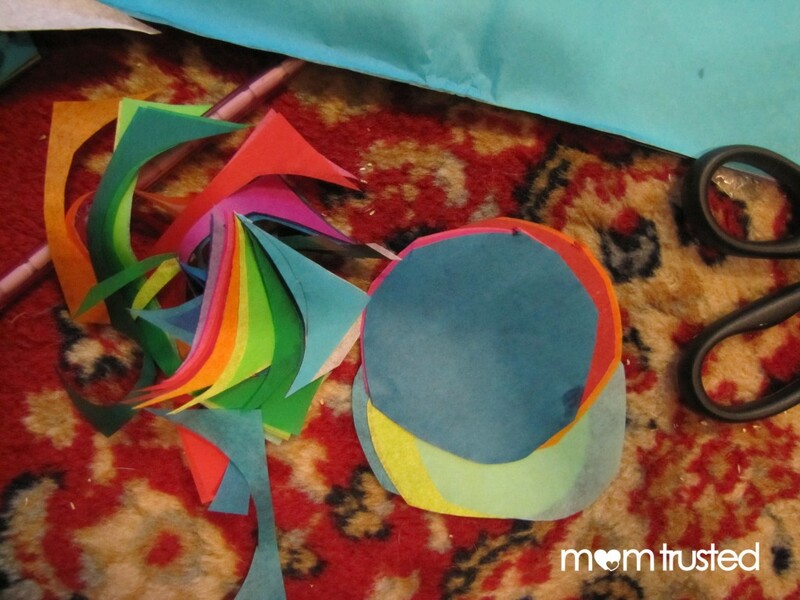 It’s usually easier to cut all the circles at one time – we did all the colors at once! You may not use every circle you cut, but you can always save extras for another project. Find a safe spot for the circles (where they can’t get wet) while you complete the next step. 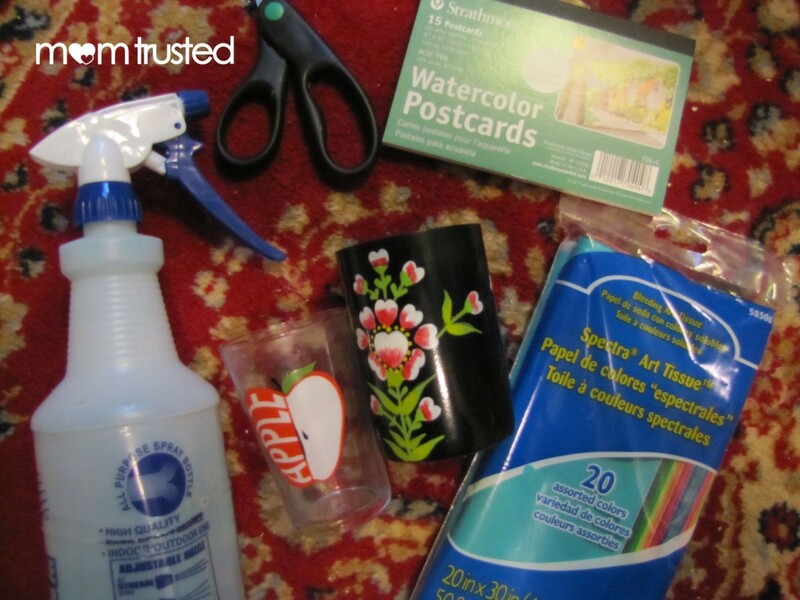 Spray down your postcards with water. They don’t need to be soaked, but enough so that the paper absorbs some water and is wet to the touch. Water color paper is made for this! Let the water soak into the paper for a minute or two. 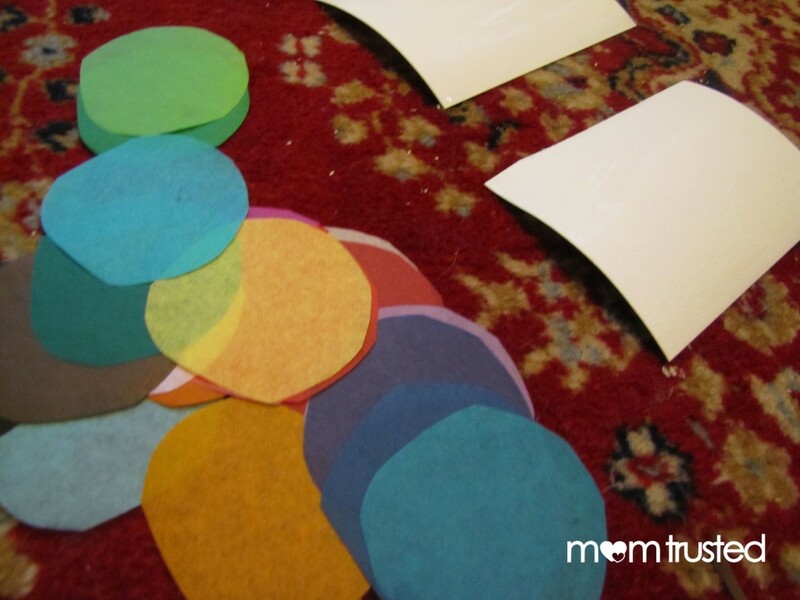 With dry hands, have your child select a few confetti circles. 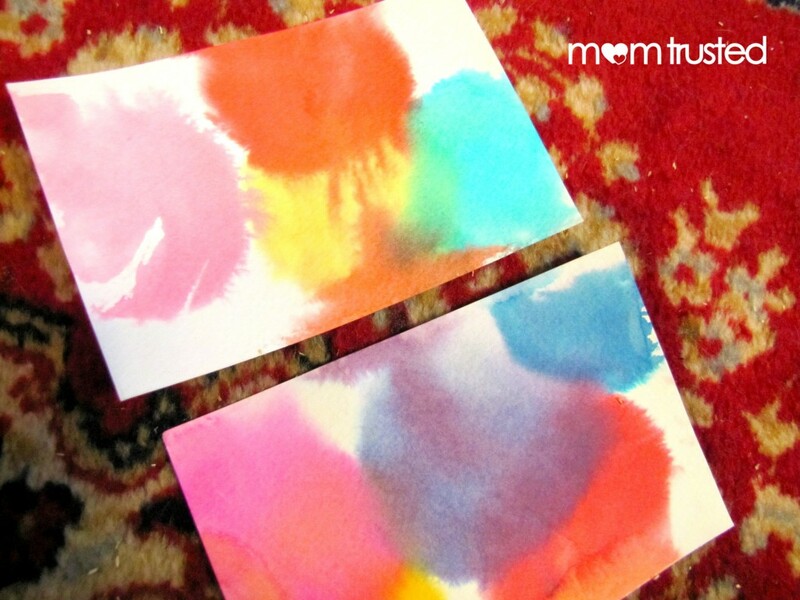 He or she can place them onto the water color postcards – overlapping colors will make new colors! An easy opportunity to throw in some basic color mixing lessons if you want: what color do blue and yellow make? Leave the postcards for a minute or two, then peel up the tissue. 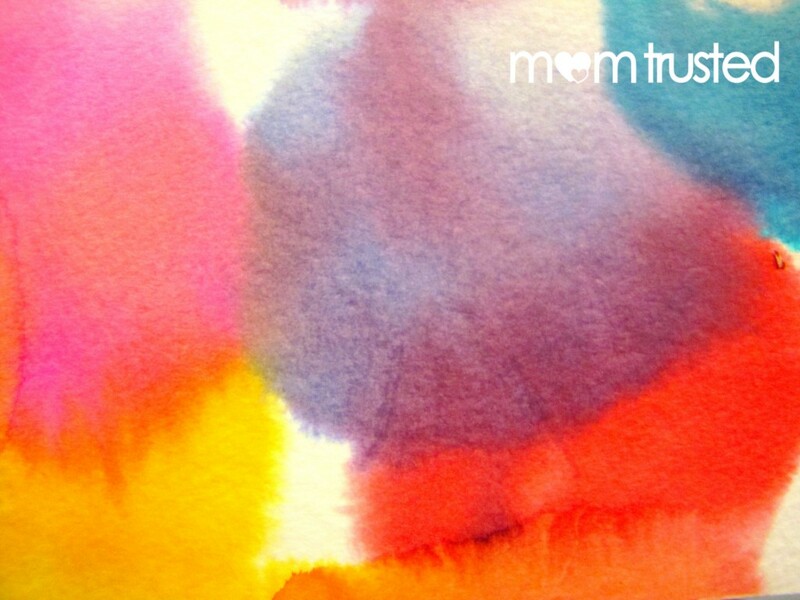 The dyes from the tissue paper will have transferred to the water color paper, leaving behind a cool, unique confetti print! Have your artist mark the year (or maybe even write “HAPPY NEW YEAR!”) on the front. On the back, they can write the name and address of a friend, and send them off in time for January 1st! Their friends will receive a one-of-a-kind, abstract, confetti inspired print to help them celebrate. You’ll need bleeding tissue paper. Check the label! 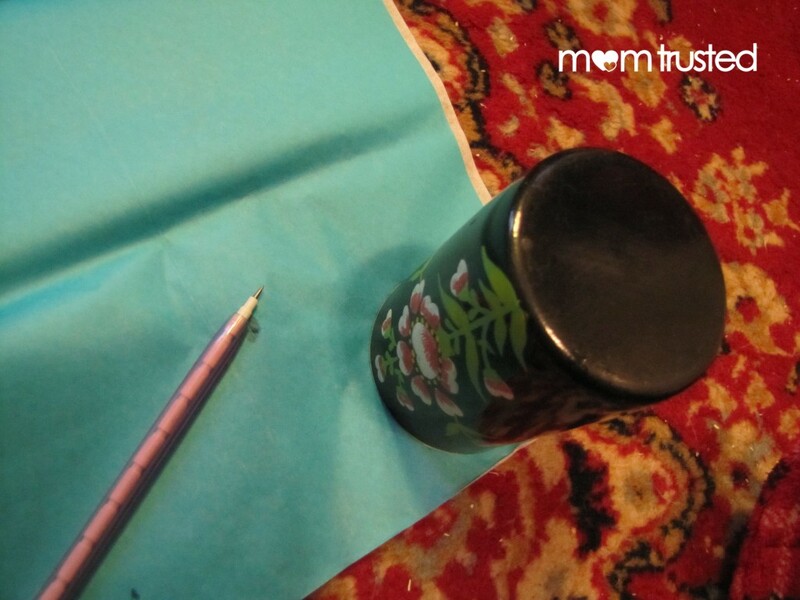 Bleeding tissue isn’t the best for wrapping a gift but is awesome for making crafts! Use a hairdryer on low if you want to “dry” these prints fast.